I enlarged this so as to fill the screen. 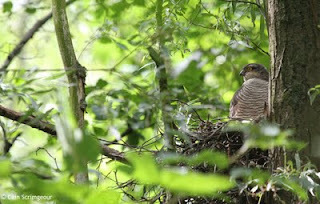 Excellent image of the Sparrowhawk. 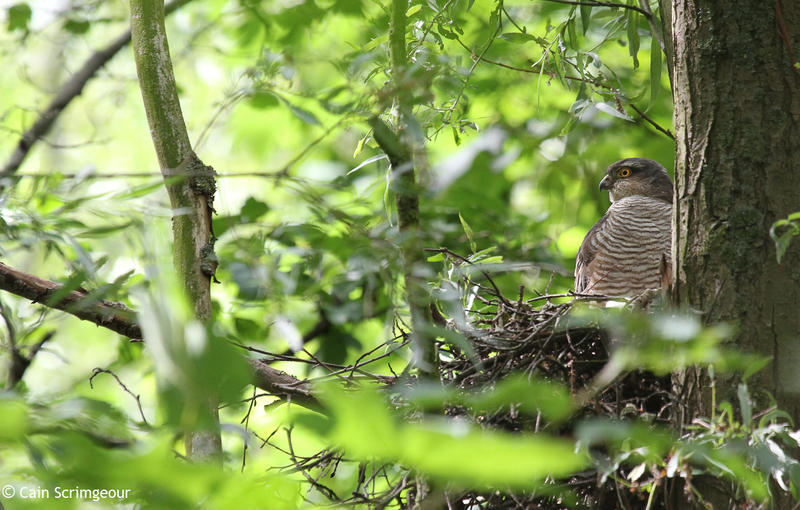 The S'hawks in Killy do not appear to have nested in the same area as last year. While i think on, i came across 3 seperate families of juvenile G S Woodpeckers while down at Holywell late last week. I had 2 juvs close to members hide, 1 juv. close to new screen and 2 more in the garden of the house with the large garden at the edge of the village. Great sightings of all 7 babies and adults also. Cheers Brian, shame about the Killy birds.